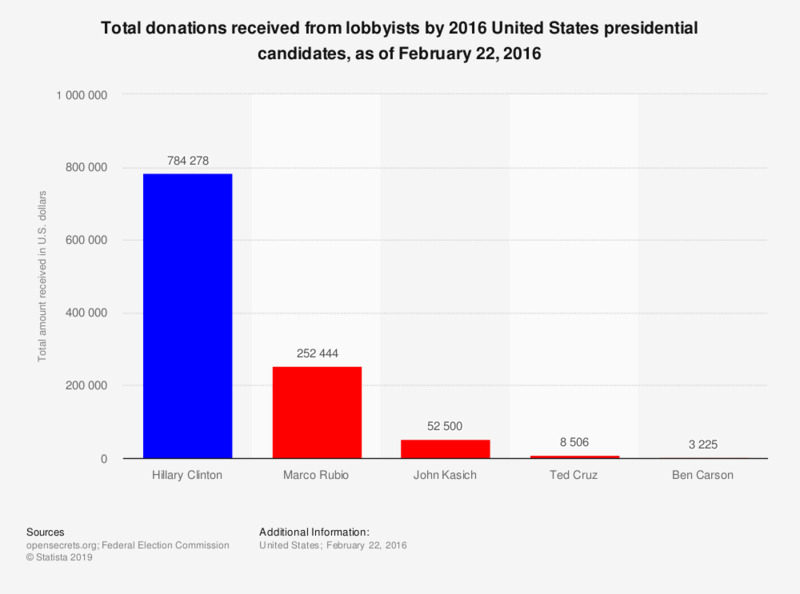 This statistic shows the amount each candidate in the 2016 presidential election race had received in donations from lobbyists, as of February 22, 2016. The candidate who received the most donations from the oil and gas industry was Hillary Clinton who collected 784,278 U.S. dollars. Figures are based on Federal Election Commission data for PAC contributions and individual contributions over $200. Totals include donations to the candidates campaign fund as well as to their aligned super PAC.